The Nature Zone Jungle Park Resort is a beautiful location to get close to nature and enjoy a relaxing holiday amid wilderness. This is an ideal place for those who wish to experience the real beauty of nature. The staff and naturalists of the resort ensure that you don’t face any issue during the stay. They are always willing to cater to the needs of the guests. The Nature Zone Resort is all around surrounded by lush greenery which adds to its beauty and makes it more alluring. The resort promises a memorable stay with basic comforts, unique accommodation options and delicious food. The eco-friendliness of the resort makes the visit more unique and interesting. As the Resort is set amidst nature, you get an opportunity to have a look at exotic wildlife of Kerala like wild elephant, wild dog, barking deer, mouse deer, Nilgiri langur (a primate), bonnet macaque, squirrels, gaur (Indian bison), wild boar and sloth bear and the Nilgiri tahrs from your tree houses. The location is perfect for bird watchers as one can spot a variety of birds like Grey headed Bulbul, Nilgiri Wood Pigeon, Nilgiri Pipit, Black & Orange Flycatcher, Broad tailed Grass bird, Crimson backed Sunbird, White bellied Short wing and the Wyanad Laughing Thrush. 10 African Safari Luxury Tents of the resort take you closer to nature. This royal accommodation offers a combination of luxury and nature. Everything you find in this accommodation is subtle, beautiful and unique. With a stay at these Royal Safari Tents, you too become a part of the eco-friendly initiative started by Nature Zone Jungle Park Resort. Superior quality coir flooring, Bamboo & Paper light fittings, eco-friendly toiletries, all this and more makes you experience eco-friendly initiatives taken by the resort. Well appointed rooms with modern bathrooms and large verandahs make this accommodation type perfect for anyone. Enjoy the view of valleys and spend some time peace in the verandah which is all around surrounded by aromatic plants like Lavender and Rosemary. Beautiful tree houses welcome you with lots of luxury and comfort. While these tree houses are built on living trees, there is no compromise made on the comfort levels. Spacious and airy, these tree houses are perfect for a stay close to nature. 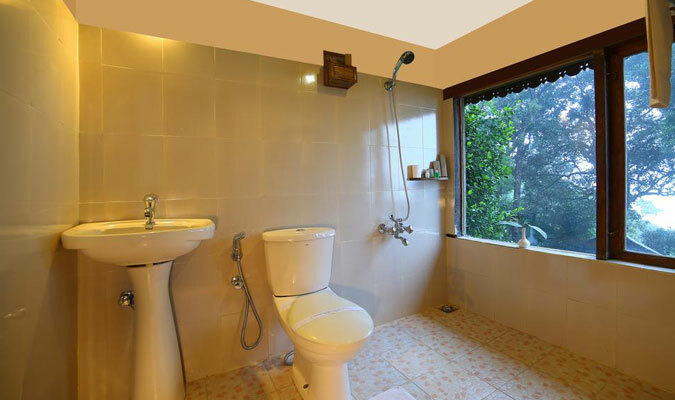 These houses come with large bathrooms and balconies which offer a great view of the forest. Every tree house has been carefully selected by a tribal and proper measures have been taken to ensure that there is no impact on the tree or the environment. A stay in this tree house is a must on your tour to Munnar. Nature Zone Resort serves a combination of traditional Kerala food and continental dishes which will surely leave you delighted. Feel like home with 'home made food.' Step up to the kitchen and make yourself your favorite dish. To cut it simple, you get to eat exactly what you like, in your own style.